Latest announcements, news, articles, business philosophy, SEO and more! Unclickable training provider links have been fixed! New Experiment: Leadership Skills Landing Page! Check out our new experimental Leadership Skills Landing Page with selective recommendations! No more short notice on events to be held at the beginning of the month. In fact, when we first rolled out our Home 3.0, we had already aware of one problem with our Current Month Public Training Events Column: Those events to be held in the beginning of the month were always appeared short notice and did not make sense to the users. Until recently, as one of our members, Culture Dynamics, also reminded us about the same issue, we decided to address it once and for all. Happy Birthday to MalaysiaTraning.net and Welcome to I'MTP 3.0! 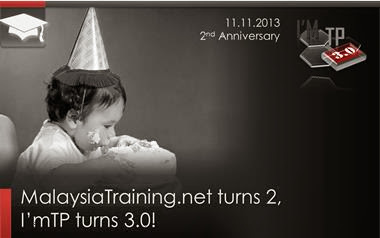 As MalaysiaTraining.net turns 2 years old on her 2nd anniversary, our I'MTP also turn 3.0 on 11.11.2013! Find out what I'MTP 3.0 mean to you and the training providers in Malaysia! I'MTP 3.0: No more "Grrrggghh" for keep failing your Final Q&A Test! "Grrrggghh" for keep failing our Q&A Test? Our original intention is to avoid the applicants from blindly guessing for the answers (and still got it right!) without showing their willingness to fully understand our service terms and cause some unwanted future disputes later on. Training Demand Dropped: Malaysian Government Budget Allocation the One to Blame? We have a new Tagline! Finally, our Official Blog is here! Since we started MalaysiaTraining.net on 11.11.2011 until today, we have a total of 13,653 returning visitors and 83.4% are from Malaysia. Lately this year, over 30% out of our total monthly visitors are returning visitors. Apparently, many have chosen MalaysiaTraining.net as their favorite source in searching for their desired corporate training courses. But the question is, how can we make the returns of our loyal visitors more meaningful and worthwhile than before? — Here comes our MalaysiaTraining.net Home 3.0! It's not your eyesight or short-term memory problem — it's our design problem. Introducing Course Category Browsing 3.5 with Section Repeat Column Title. As we released Course Category Browsing 3.0, we did not aware of the short-coming of our design as we know too well about our own site. In a long list of training courses like Soft Skills, we finally realized that the column titles only appeared once, that is at the top most of the page, while the courses had been broken down into numerous sections by subcategory in a collapsible manner. By the time the users scroll down somewhere in the middle or bottom of the page, the column titles were no longer visible to them. Therefore, whoever started their browsing at the middle of the page may not know exactly what purpose that each column was for. This is particularly true when the users' first action was to click on the In-house tab of which the page will automatically scroll down to the beginning part of the in-house program listing section. After launching our current month Public Training Event Column for a couple of months, we aware that some may stop at the bottom of the event list when they could not find anything suitable to be attended in the current month — "How about next month?" 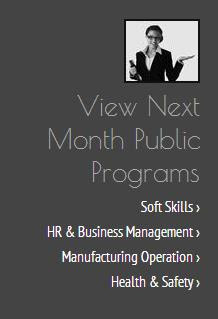 Although we do have a whole year training calendar under our training category program listing page (e.g. Soft Skills, HR & Business Management etc. ), those who're new may not aware of it and therefore not even bother to click on it. To facilitate such learning and to increase awareness of our training calendar's availability, we've added this extended box at the bottom of our Public Training Event Column: "View Next Month Public Programs". This extended box contains links to our training calendar of each training category. Not only that, by clicking on it, it will jump directly to the Next Month section of the calendar without having to scroll down for further discovery. We hope you will find this new improvement interesting and make more sense to your course searching experience. To give you a hint, there will be more bigger improvement happening to our Home Page in the coming months. Be sure to set our Facebook Page to notify you for our new posts! 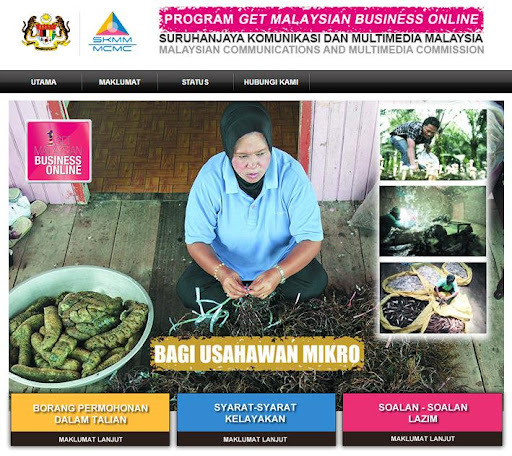 Free website grant worth RM1,000 to be given away by Malaysia government (Get Malaysian Business Online, SKMM) to qualified small business owners! Apply now! What is Favicon? Why is it a BIG DEAL? Strategically Plan for your Logo Design for Publication Diversity and Maximum Branding Result — 5 Strategies. If you're our regular site visitor, you may notice that we've changed our Favicon for our MalaysiaTraining.net website since the day we launched our new blog site in August 2013. As shown in the picture above, Favicon is a small little icon that appears on your site visitor's web browser tab and bookmark. So what is the big deal of this small little icon? 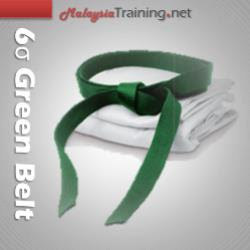 Be sure to register for the upcoming Oct 2013 Lean Six Sigma Green Belt certification training certified by University of Malaya, joined effort with SDI Centre. Find out how we improve our overall site performance, why it is proud to be our I'mTP members, why it is worth spending time searching courses on MalaysiaTraining.net, and why we change our online forms' colour scheme. Earlier, we placed these files in different geography locations on different 3rd party servers. Now, we've moved these files to a same geographical location on a same server that is more powerful with higher up-time. Although we've yet to compress and minify those files for smaller file size, faster loading time, and shorter browser interpretation time, this is just one of our site performance tuning stages. We will keep you updated as we move on. Hosting your web pages and the resource files may have a great impact on your Search Engine Optimization (SEO) performance too, for example, when Google is unable to crawl your pages due to time-out response time. When Google is unable to crawl your pages, naturally, your pages will not be indexed and searchable on search engine, not to mention about achieving high ranking. Find out why we launched this blog and learn how we make this blog a better alternative to our social posts. What's wrong with purely relying on Social Networks without a Blog? This blog is an extension to MalaysiaTraining.net. The contents are mainly written by the founder himself, Antonio Ooi. It may include announcements, news, articles, and the personal philosophical opinions of the founder. The comment section of each blog post may be enabled or disabled as appropriate depending on the content. To avoid spamming, each user comment may subject to moderation. This blog site was designed, developed, and maintained by OTK Web Solutions®. ©2013 OTK Web Solutions. All rights reserved.